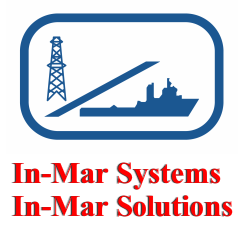 In-Mar Systems and In-Mar Solutions are manufacturers, agents, and distributors of major marine products in the United States. We service the needs of the USCG, U.S. Navy, offshore supply vessels, ferries, tug boats, anchor handling vessels, research vessels, fishing vessels, cruise ships, yachts, and others. Products we manufacture and distribute include those made by Fire Fighting Systems (FFS), Wynn Marine Wipers, Alu Design & Services Helm Chairs, West Mekan Passenger Seating, Nijhuis Fire Pumps, and Triplex Shark Jaws and Anchor Handling. Please contact us for your marine off-board fire-fighting, helm chair, passenger seating, anchor handling and window washing needs. Our mission is to offer exceptional design, sales, and service that exceed the expectations of our customers while ultimately providing solutions that address their needs.